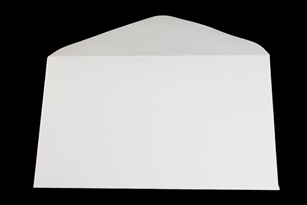 Blank white sealable envelop for enclosure cards. Envelopes were smaller than the ones I ordered several months ago. Barely fit our needs. Due to size, will not order again. Order took way too long to get here. Ordered on 12/15/18, received order on 2/12/19.